We were recently sent some photos of the SYV Botanic Garden from 2010 taken by Wayne Jessup. This is just a few years since the garden was established, and compared it to a recent photo taken in the same location just a few weeks ago in 2019 and the difference is quite remarkable! See for yourself in the comparison image below! 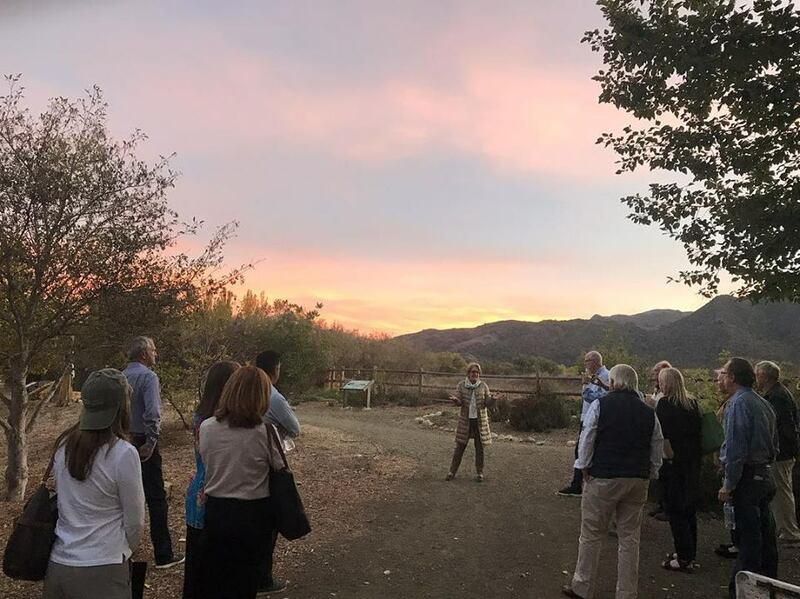 We are excited to share this incredible video created for the Santa Ynez Valley Botanic Garden Foundation from Montecito Bank & Trust as one of the recipients of their 2019 Anniversary Grants! We are so honored to be awarded this grant, selected as one of the recipieents from over 100 nominated non-profit organizations. Along with a grant they made this wonderful video for the Santa Ynez Valley Botanic Garden. We are so thankful for the generous support of Montecito Bank & Trust and our community! 🦉EXCITING UPDATE! There’s confirmed owl sightings in our recently installed owl boxes! 2 were installed last fall and we received news that Sunday evening owls were spotted exiting from both owl boxes! Unconfirmed what kind yet but we are excited for our new residents in the garden, just in time for our All Things Birds event this month! With much thanks to the local Boy Scouts troop and our volunteers for their excellent installation! If you stop by the garden and see them let us know or even better send a photo if you can snap one quick enough! The Santa Ynez Valley Botanic Garden will host an Appreciation BBQ in River View Park, Buellton to honor John Evarts and Margie Popper, founders of Cachuma Press on Saturday, May 18th. Festivities start at 4pm with appetizers and tours of the Botanic Garden. At 5 pm we will honor John Evarts and Margie Popper, founders of Cachuma Press, an award winning local publishing house. Their work includes The Oaks of California and Reimagining the California Lawn, outstanding reference guides for our California gardens. 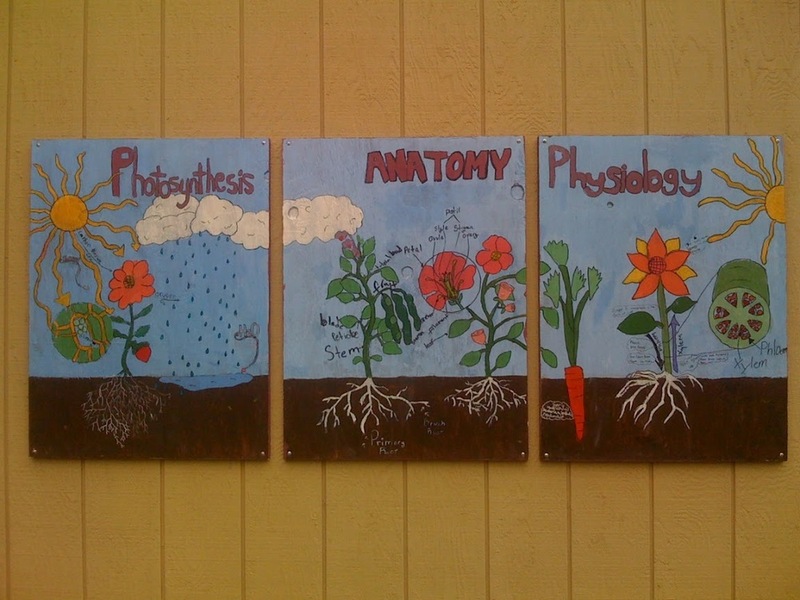 For a number of years, John and Margie taught the popular Organic Gardening class for Santa Barbara City College Adult Education. They were also involved in local commercial honey production and crop pollination services. After moving to Ballard in 1985, they sold their beekeeping business but continued to participate in the farmers markets as vendors of stone fruits and table grapes grown on their five-acre property. John established Cachuma Press after working for a publisher in Santa Barbara where he honed his skills. John shared that “A mutual love of books, natural history, and California’s wild landscapes was the catalyst for launching Cachuma Press in the early nineties. Two titles were published that initial year, California’s Eastern Sierra: A Visitor’s Guide and Oaks of California.” Both have been reprinted multiple times and are still in print. They later published California Native Plants for the Garden and Reimaginining the California Lawn. With handsome, accurate photography from many of best landscape photographers and accurate descriptions from knowledgeable authors, their books are lasting, accessible references for professionals, students and anyone with interest in exploring and using our California natives in their gardens. Cachuma Press has been the recipient of the Publishers Market Association Benjamin Franklin Award for Oaks of California; the National Park Service Award of Excellence for Capitol Reef: Canyon Country Eden; The Council of Horticultural and Botanical Libraries Literature Award for Conifers of California; and the 2006 Book Award from the American Horticultural Society for California Native Plants for the Garden. John and Margie’s published works as well as their contributions to the community embody the spirit of the mission of the Santa Ynez Valley Botanic Garden, inspiring the Garden Foundation to honor them at the Appreciation Barbecue. Through the last decade, since its founding in 2006, The Garden has provided an accessible and interactive environment for the community and visitors to our valley to appreciate and explore our native plants. Through the support of our members and hundreds of volunteers of all generations, the Garden continues to grow. The Foundation is looking forward to ‘reintroducing’ John Evarts and Majorie Popper to the community to which they have made such lasting contributions. The Cub Scouts and their families recently visited the garden and had a productive day in the garden. They did some planting in the Mason Bee habitat area getting it prepared for spring and cut and placed new bamboo into their habitat for spring nesting for the bees. They also were able to view the shuttle launch from Vandenberg Air Force Base while in they were busy working in the garden. Had fun doing some leaf cleanup and learning about the Mason Bees and how important they are to our garden and environment! Thank you to the troop for visiting our garden and we look forward to your next visit! We are excited to announce our upcoming events for 2019. Packed with lots of interesting, fun and educational events, workshops and trips. Please be sure to mark your calendars and save the dates these events, you won’t want to miss out on. Our events page will be updated as details and sign ups are released for each event so be sure to check back! Happy New Year from the Santa Ynez Valley Botanic Garden. Wishing all our members, supporters and community a wonderful year ahead. Thank you for all your support making 2018 a very successful year for the garden. We are looking forward to 2019 and planning lots of exciting events, workshops and field trips for the new year!! Do you know where Sparkie is?? “Where’s Sparkie” is a regular feature in the Santa Maria Times featuring the adventures of Sparkie and readers guess where he is from the photos and clues for a chance to win a prize. The location he visited this month looks quite familiar! Looks like he had a great time exploring this botanic garden! The garden was glorious this evening as Los Olivos Rotary met at the Botanic Garden and took a tour of the garden. They took note of the growth of a tree they donated many years ago and were impressed at the growth and development of the garden. We are so grateful for their continued support of the garden creating a great place for the community to enjoy. It was a beautiful day in the garden for the photography in nature workshop hosted by the Santa Ynez Valley Botanic Garden. The creative energy and excitement was flowing as photography enthusiasts gathered and learned great tips and then explored throughout the Garden and photographed with professional photographers. The results are many beautiful photos we look forward to seeing and sharing! Thank you all for participating and to photographers Jose Villa, Derek Glas, Angelina Hernandez and Bill Henderson for making this a great day in the garden! With fall being a great time to plant trees, we celebrated our annual Arbor Day at the Santa Ynez Valley Botanic Garden on October 14th! 9 various native trees were donated by generous supporters of the garden and planted in the garden by volunteers. There was a display of some of the top trees of the Santa Ynez Valley provided by local nurseries, Manzanita Nursery and Windmill Nursery. Also in the garden was a scavenger hunt in the garden to locate and identify trees by their leaves, a fun “Thanks Tree” craft project for kids, displays of how to plant trees, a display on how to count the rings on a tree, an on site Arborist answering questions and providing great information reading in the garden with the library and mulching and composting demonstration and information. In addition to all that, with the amazing community effort, 3 owl boxes were installed into the garden on Arbor Day as well. An exciting addition to the garden that we look forward to watching and learning from. 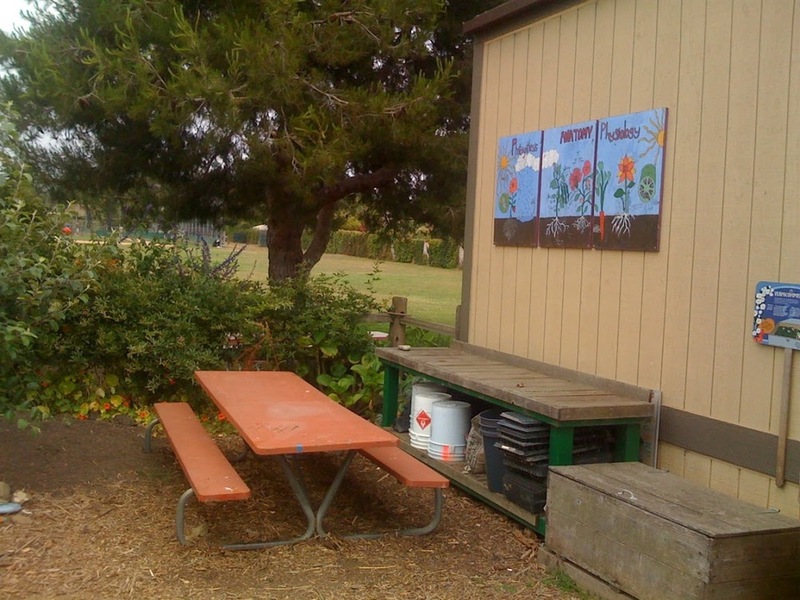 They were very carefully installed by Troop 42 Scouts and Adults. Holes were dug by B&B Landscape, Steel Supplies were donated and welded by Vaquero Energy and many others were integral in making completing this project. We are so thankful for everyone’s contributions for this exciting addition to the garden! The Girl Scouts recently visited the SYV Botanic Garden and had a fun outdoor badge workshop with fun activities and a a tour of the garden exploring all the different areas and learning about native plants and culture. 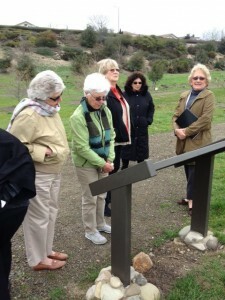 They took a brek from their activities for a tour of the garden and visited Chumash huts in the garden a favorite place for visitors to explore and learned from SYV Botanic Garden members how native plants were used by the Chumash for different things. They also discovered several native plants bearing fruit including the rose which had ripe rose hips and our grape vine bearing fruit. They all sampled the fruits and learned about edible native plants for animals and plants. We enjoyed their visit and look forward to seeing them again soon! Our propagation area is looking fantastic and nearing completion thanks to the beautiful craftsmanship of Stonescapes Custom Masonry and Custom Hardscapes for the wonderful pavers. Thanks to everyone’s generous support our goal to start propagation this fall is near, we are looking for donations and leads on a few items to complete the project: stainless steel table, sink, hoses, brooms, buckets, potting soil, pearlite and peat moss. We are excited to start this new resource for our community, please let us know if you have any of these items to contribute! “ The best projects we do at Acorn Village, are the ones where we use only materials from the land, throughout the whole project. While at the Santa Ynez Valley Botanic Garden, we connected twigs from the ground, carved and sanded the twigs to make handles for our new paintbrushes. We then found some yucca growing on the hill at the garden. We harvested some leaves from the yucca and pounded them with rocks into strong fibers. The next task was to separate and dry the fiber. The fiber became new bristles in our paintbrush, which we will attach with some yarn and waterproof glue. After that, we are going to search for some cochineal beetles on the prickly pear behind the Botanic Garden, and we will scrape those off to paint with. The children will make lovely Mother’s Day cards with our handmade brushes, to go with the salve we are making with beeswax and plantain, also harvested partly at the SYV Botanic Garden. This project is so wonderful. In honor of National Public Lands Day, our Tinkergarten class wanted to share our gratitude to you and all of the people who make it possible for us to hold class in the Santa Ynez Botanic Garden in River View Park. We know that our park would not be here for us to learn and play in without a great deal of effort from all of you and all of the parks and recreation maintenance personnel. In our Tinkergarten classes, we teach children and their parents about sustainability and how important it is to care for and support our parks. The children in our class created a Thank You poster for you and your staff, decorated with paints the children made themselves from natural materials. Please accept the attached photo (with the only Tinkergarten Explorers we could wrangle to stand still!) with our sincerest thanks for all that you do. We SO love our park! 70 Five and fifteen gallon native trees were donated and planted three years ago by volunteers, Valley Schools, Valley residents and Valley businesses. We have waited patiently and now the trees are fully established and growing quite well. The canopy is quickly becoming large enough where we can begin planting under the trees, starting next year (2014). The Non-Profit SYV Botanic Garden is seeking donations towards a Potting Shed, designed by Arcadia Studio. A composting area is included in the plans as well as earthworm casting boxes and storage for tools. The potting shed will be of educational use, where students from SYV Schools and Valley residents will learn the art of propagation and later help assist the botanic garden with planting the plants. The permit process will begin as soon as the funds are available. If you or someone you know would like to help fund this project and/or become a volunteer, please call 350-0360 for details. Thank you! On April 9, 2013 the board of “SYV Botanic Garden” received some wonderful news. The distinguished “Garden Club of Santa Barbara” awarded the Botanic Garden a generous Grant in the amount of $ 3,500.00.